A nice breeze made things a little cooler for today’s sessions at Hillside Stadium in Kamloops, much to the relief of the players and this blogger sitting in the stands. The Lions continue to install the offense of Jeff Tedford in preparation for Friday’s preseason opener in Calgary. Here are some observations from today’s sessions in this edition of the Lions Notebook: Training Camp Edition, June 9th. The Lions practiced without pads for the morning session but had them on in the afternoon for the last time before their game in Calgary on Friday. 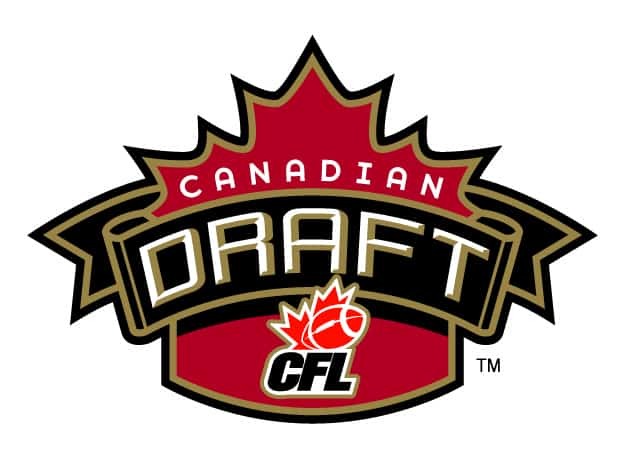 The afternoon was a spirited affair that saw a player skirmish involving DB Torrie Williams and an unidentified player on offence that was broken up quickly by Jeff Tedford. Jonathan Jennings continues to separate himself as the front runner for the backup/third string role to Travis Lulay, just ahead of Greg McGhee. Both players can expect to see a fair bit of work in Calgary (Lulay will not play) along with Travis Partridge who will likely get the start. Partridge is going to have to really show something in my opinion to not get over taken by Jennings or McGhee in my opinion. John Beck is back in camp and threw light passes in drills early in the session, but was not a full participant. The Lions appear to have settled on a starting five on the offensive line, for now at least. Jovan Olafiyoe of course stays at right tackle, Dean Valli at right guard, Jason Foster at centre, Matt Norman at left guard and newcomer Josh Aladenoye at left tackle. Kirby Fabien continues to participate on the second unit, and this is a big disappointment, as many were hoping he was going to rebound from an inconsistent 2014 after returning from injury. Right now, Fabien is backing up Norman, who seems to be settling in nicely at guard after moving from centre. Anyone concerned about the loss of Dante Marsh should rest easy, as Ronnie Yell has really stood out for me at this camp and looks to be in midseason form. He’s been battling against Manny Arceneaux and has showed very well. He’s quick, physical and has been in Arceneaux’s grill constantly. He doesn’t always win the battle, because let’s face it, Manny is pretty good, but Yell seems to be adjusting just fine to not only his role, but the new rule changes imposed on defenders. We have been very impressed by the two kickers in camp, Anthony Fera and Richie Leone, but Tuesday wasn’t a banner day for either. Both players missed some field goals and shanked some punts, so Friday is going to be interesting to see which player emerges as a front runner for the job. Still there is no denying the leg strength of both candidates, both kicking 47 yard field goals to the back of the endzone and both launching some absolutely spectacular punts in both sessions. Marco Iannuzzi had a strong day, getting open to make several TD catches during passing drills. One name to watch out for is Tim Vizzi, who has some people drawing comparisons to Weston Dressler. The Penn State product isn’t big in size, but runs good routes and has a solid set of hands. When you add the likes of Bryan Burnham, Austin Collie, Terence Jeffers-Harris, Shawn Gore and Manny Arceneaux and this group looks talented. Nevermind the additions of Cameron Morrah and A.C. Leonard, both of whom continue to impress. Now the Lions must find a way to keep as many of these talented players as possible. There is some mystery to the status of Courtney Taylor whose participation in camp has been minimal since I’ve arrived. Rest easy Lions fans, Andrew Harris looks very, very good. Harris show no signs that his injury from last season isn’t healed. He looks quick and explosive hitting holes. 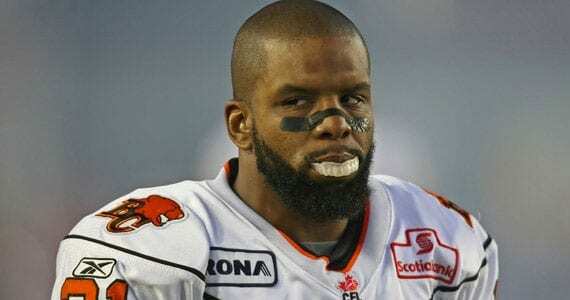 Like Lulay, I wouldn’t expect him to see any action in Calgary, because there is no point, and the Lions have other backs they need to evaluate, like Shaquille Murray-Lawrence, Brendan Bigelow, Rickey Galvin and of course Keola Antolin, With Murray-Lawrence and Antolin missing earlier sessions with minor injuries they will be looking to impress in the preseason. The Lions appeared to have taken a blow to their defensive line when DT Michael Brooks went down with what appeared to be a right knee injury. Brooks was carted off the field near the end of practice and it didn’t look good. Brooks had been impressing and it’s a tough break for him if the injury is as bad as it looked. Tim Jackson (North Carolina) is the next man up on the depth charge and will look to take advantage of Brooks’ bad luck. As my friend Lloyd Bruneau noted, Jason Vega is currently sitting in Winnipeg, waiting for a phone call. Offensive lineman Cody Husband and Cameron Thorn continue to follow concussion protocol. We leave you with this. The Lions cranked up the music for their warmup session and we caught this video of linebacker Adam Bighill who dances across the screen like he was in a Broadway show. One more day at camp for us, with an hour walk through in the morning, we’ll spare you the details of that and will take in the afternoon session before heading home to Vancouver.